The decision to publish was purely a marketing decision. It turned out to be a shrewd one. From reports in the press regarding the recent “discovery” of Harper Lee’s novel Go Set a Watchman, it is clear that neither Lee nor her editor thought the manuscript fit to publish when it was first submitted. Possibly it was considered too controversial, given the volatility of race relations at the time. Or perhaps it was simply a case of the manuscript needing work. According to The New York Times, Lee wrote Watchman before To Kill a Mockingbird, which was published in 1960. Her agent submitted it to J.B. Lippincott, which rejected it. However, so the story goes, Tay Hohoff, a Lippincott editor, was so impressed by Lee’s precocious talent that she advised her on how to reframe the story to make it publishable. Lee did the rest and succeeded brilliantly, producing a new book that was superior in every way to her first effort. The synergy between a perceptive editor and an inexperienced but talented author produced To Kill a Mockingbird. As for Watchman, we are told that it languished for many years in a safe-deposit box. Possibly it was the “race novel” set in her native South that Lee had told contemporaries she was burning to write. The issue of publishing a book its author apparently did not want published or abandoned in his or her lifetime is not new. There is the case of Ernest Hemingway’s novel Islands in the Stream, appearing years after his death, and of his unpublished Nick Adams stories, which his longtime publisher, Scribner, brought out with the imprimatur of Mary Hemingway in 1972 as part of a collection called The Nick Adams Stories. Some of the “stories” were fragments; for example, material Hemingway cut from “Big Two-Hearted River,” a justifiable omission that made it one of his greatest stories (not all editorial cuts are bad; often quite the opposite). The publisher implied that the anthology served as a kind of portrait of the artist as a young man, personified in his fictional alter ego, Nick Adams. But Adams unites the stories in name only, and the best of them stand alone rather than as parts of a greater whole. Or take another case from the annals of literary history, Theodore Dreiser’s debut novel, Sister Carrie, which appeared in 1900. Its story was virtually the opposite of Lee’s novel—a matter of restoring trims made in the first edition. The original manuscript that Dreiser submitted to his publisher had been bowdlerized, first by his wife, Sara, and his closest friend, Arthur Henry, and later by the publisher. Dreiser, at the time a hopeful neophyte, was so eager for it to appear that he accepted the trims, which he later regretted doing. When a new edition of Sister Carrie came out in 1907, however, Dreiser raised no objections. And so matters stood until 1981, when the University of Pennsylvania Press published the uncensored version of Sister Carrie, following the original manuscript. The new edition adhered to scholarly standards—with a long introduction discussing the history of its composition and publication, along with numerous footnotes showing what cuts and changes the publisher had made and the author had accepted. The text’s editors contended that the restorations transformed Dreiser’s powerful novel into a work that was “infinitely richer, more complex, and more tragic than it was before.” Some readers found it ponderous compared with the streamlined version, but more accessible editions have made it more widely available, and it is also on Kindle. A similar case is the Modern Library reprint of William Faulkner’s The Sound and the Fury, which was changed from the first edition to closely follow Faulkner’s original intentions, as shown by the original typed manuscript. There is a short foreword and minimal scholarly apparatus explaining the changes, which were mostly corrections, made in the restored version, which was reissued with a colorful dust jacket and attractive typography. Of course, the novel had not been censored like Sister Carrie. At any rate, Modern Library’s approach seems a sensible one—appealing to the general reader while bringing to light a new rendition that is closer to the artist’s intentions. 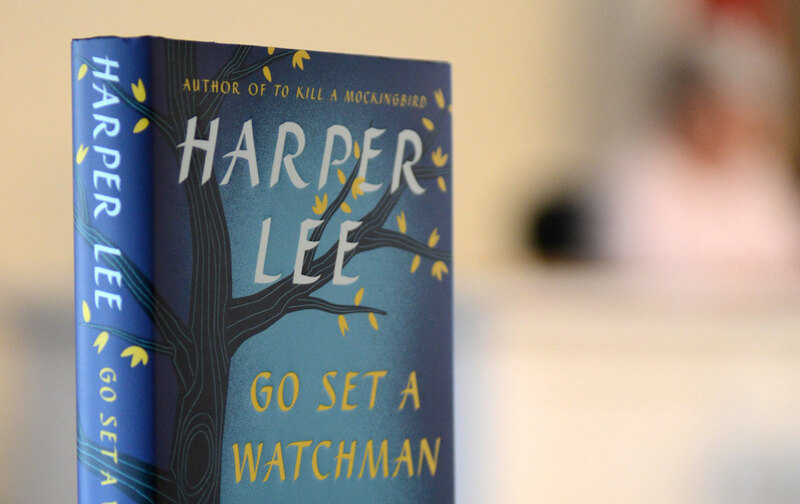 Perhaps because Harper Lee is a popular author, her publisher apparently saw no need to explain in a scholarly preface the provenance of Go Set a Watchman. Mockingbird had been a huge commercial as well as critical success, adopted in schools. It had made Lee a much-loved novelist, who had left her readers hungry for more. How did Lee feel about the revival of a manuscript she had originally opposed publishing? She was quoted as approving it, but there was little hard news about the extent of her participation in the decision to publish—and what there was came secondhand. Her sister, who had been her trusted adviser, was dead; only people with a financial stake in its publication stepped up to attest to the novel’s provenance. And what would Tay Hohoff, the editor who had originally guided the young writer’s steps away from that version toward a less controversial view of the South’s dark racist history, have thought about Watchman? She is also dead, and the Times story concluded: “We can only speculate about how Ms. Hohoff would have reacted to the book’s release. Would she have considered it a valuable literary artifact with the potential to deepen our understanding of Ms. Lee? Or would she have tried to talk her author out of it, arguing that ‘Watchman’ could forever change how people read ‘Mockingbird’?” One thing seems clear: The sketchy, sometimes contradictory information about the novel’s history from its publisher, HarperCollins, suggests that the firm had little interest in such matters, its primary concern being the bottom line. That approach left the new novel vulnerable to the criticism of skeptics. Still, you might ask, what’s the big deal? Who cares about pedantic matters like a book’s provenance and the long-ago intentions of a neophyte author and her caring editor? To a publisher, Watchman was found money. To Lee’s fans, it was a long-awaited gift. Yet these considerations and the precedent set ought to be weighed against other, important long-run concerns. What if an author is dead or incapacitated? Do his earlier expressed wishes no longer matter? Are others morally free to ignore them? Having secured legal clearance to publish Watchman, HarperCollins apparently was guided by none of these precepts. The decision to publish was purely a marketing decision. It turned out to be shrewd one. Widely covered by the press, and with a ready-made audience of the legions of Mockingbird lovers, Watchman sold 1.1 million copies during the first week after publication day and vaulted to the top of bestseller lists. The idea of finding a dead author’s “lost” masterpiece or, more frequently, suppressed love letters and the issue of whether to publish have inspired some intriguing fiction, like Henry James’s The Aspern Papers and A.S. Byatt’s Possession. Such novels have the fascination of a literary detective story. In the case of Go Set a Watchman, however, the mystery remains unsolved.